A delegation of 27 Korean companies engaged in banking, education, research, real estate, investment and other businesses led by Mr Jongouk Kim, Professor of Vietnamese Faculty of Chungwoon University and Member of the Korea-Vietnam Friendship Association (KOVIFA), recently paid a working visit to Vietnam. The delegation had a meeting with Dr Doan Duy Khuong, Vice President of the Vietnam Chamber of Commerce and Industry (VCCI) in Hanoi. The purpose of the meeting was to find out about VCCI and discuss the possibility of collaboration between VCCI and Chungwoon University to promote cooperation between Vietnamese and Korean SMEs. The two sides also discussed the cooperation with the Maeil Business Newspaper, one of leading economic magazines in Korea, and the organisation of the 18th Maeil Business China plus Vietnam Global CEO Forum. Dr Doan Duy Khuong said, Korea is a leading trade and investment partner of Vietnam. The cooperation between Vietnamese and Korean businesses is typical of business cooperation between Vietnamese companies and foreign firms. 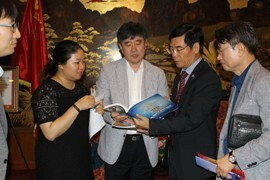 “Vietnam and Korea share many cultural similarities. 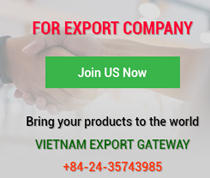 Particularly, the Vietnam - Korea Free Trade Agreement (VKFTA) is an important opportunity for both sides to develop trade, investment and cooperation ties. It is clear that when the agreement is signed, the two markets will be expanded, especially for Korea because this is not only a market of over 90 million people of Vietnam but a market of 600 million people of ASEAN,” he said. In addition, Dr Khuong also said that Korean companies should find reliable partners in Vietnam for their joint venture when they arrive in Vietnam to explore opportunities and invest in the country for the first time. “VCCI, a national agency representative of the Vietnamese business community with over 10,000 well-reputed members, is willing to help Korean businesses find reliable partners to do business with,” he affirmed. Mr Jongouk Kim said that the Korean delegation had paid a visit to Bac Ninh province, one of top recipients of FDI capital from Korean firms, including Samsung. This visit was an opportunity for Korean businesses to better understand the investment environment, investment fields and local business practices to work out suitable investment areas in line with the upcoming foreign direct investment (FDI) strategy in Vietnam. 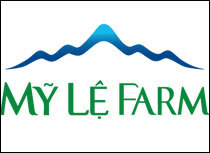 “Korean small and medium businesses have tended to increase their investment in Vietnam. Therefore, this visit is very significant to create new investment opportunities in the future,” he said. According to investment statistics, Korea is currently the largest foreign investor in Vietnam with 6,760 projects and US$59 billion worth of registered investment capital. 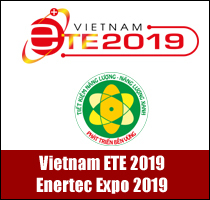 Starting mainly with outsourcing projects in light industries, Korean companies are playing an important role in some key economic sectors of Vietnam such as electronics, energy, automobile, garment and construction. In 2017, Korea continued to be a top foreign investor in Vietnam with a record of over US$9 billion, with many gigantic manufacturing, real estate business, energy, distribution and M&A projects. 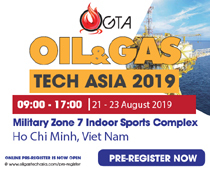 Korean businesses also participated in two giant BOT projects with a combined investment capital of over US$5.2 billion (Nghi Son 2 Thermal Power Plant and Nam Dinh 1 Thermo Power Plant) via joint ventures registered by third countries. On trade, Korea has become the second largest trading partner of Vietnam and the latter is the former's s fourth largest trading partner. In 2017, the two-way trade value grossed US$64 billion, representing a year-on-year growth of up over 32 per cent and a 128-fold growth over the result in 1992 - the year of diplomatic relations establishment. The two countries are striving for US$100 billion of bilateral trade value in 2020, accounting for half of South Korea’s trade target with ASEAN. On tourism, South Korean tourists to Vietnam in 2017 rose by 50 per cent, making Vietnam the most visited destination of Korea among South East Asian countries and making Korea the second largest tourism partner of Vietnam. In addition, Korea is home to nearly 150,000 Vietnamese people who live, study and work there. 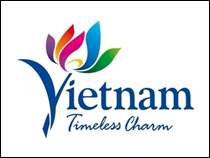 At the same time, Vietnam also becomes a business, studying and living destination for 140,000 Koreans.